*a special concert in collaboration with Edmonton Opera and the Strauss Ball Dancers (program did not include the Brahms String Quartet). ‘what awaits me’ – performed and created by Brian Webb and Nancy Sandercock. 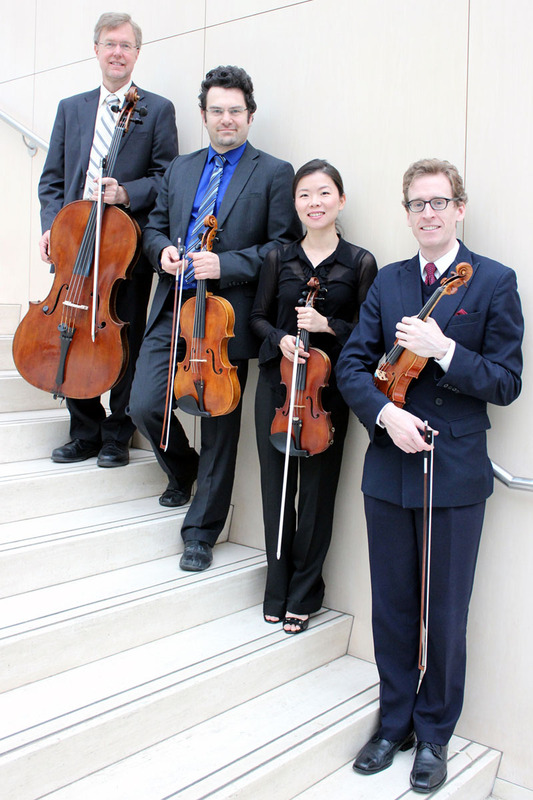 Music by the Enterprise Quartet – Beethoven String Quartet No. 14 in C-sharp minor, Op. 131 (fifth mov’t substitution by composer David Wall). With guests – Spencer Murray, bagpipes, Grace Han, organ, Jashua Iverson, clarinet, and Mark Morris, narrator. Works by Lavallée, Beethoven, Coulthard, Guilmant, and Fisher.